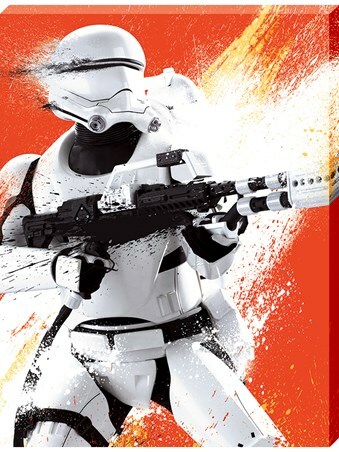 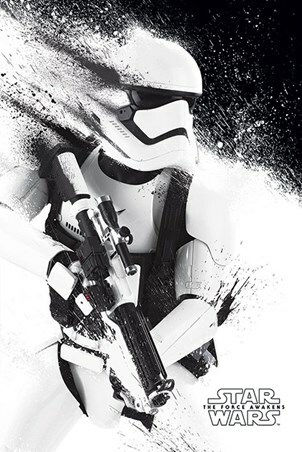 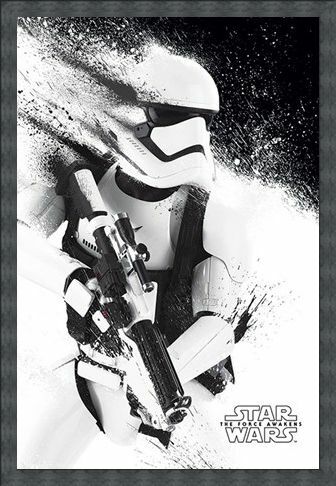 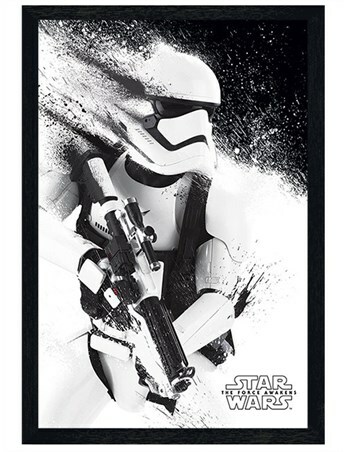 Film Maxi Poster: Pictured in his distinctive black and white armour this Stormtrooper is poised and ready for action! He is part of the elite group of soldiers who fight for the Galactic Republic and they are ruthless. 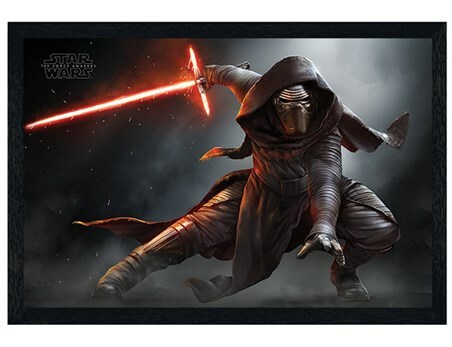 This awesome poster has been created with an eye-catching paint effect and it is sure to get you excited for the newest release in the Star Wars saga; Episode VII The Force Awakens, it is a must have for any fans bedroom wall! High quality, framed Stormtrooper Paint, Star Wars Episode VII The Force Awakens poster with a bespoke frame by our custom framing service.